A library of reflections and musings. This novel was a delightful read. Michael Gruber has a talent for vivid and precise language. The novel is an action packed mystery in which the characters stumble upon evidence that appears to point to the existence of an additional, unknown, Shakespeare play. 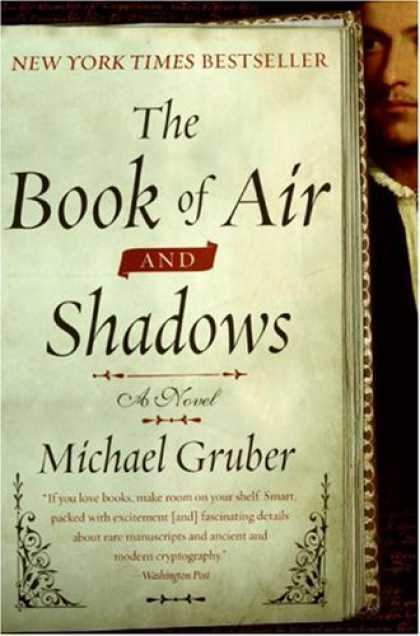 Gruber manages to entwine romance (or at least sexual desire for the female as a mythical object), deception, the mafia, literature, screenwriting, manuscripts, and cryptography. I read this book while on a camping trip, and the only problem was that I didn’t have enough time to read the novel from cover to cover in one sitting, which is exactly what I wanted to do. The book isn’t fast paced. We meet the two main characters through first person narrative and because of this we get to learn their deepest feelings that would never be spoken out loud. But this internal experience of the characters leads us on many tangents that not only help to develop the characters, but also develop the plot. Even though it may feel like the novel is tangential, every idea and thought conveyed works to build up to the final moments of the novel. This was an excellent read. While I couldn’t wait to get to find out what happened, I enjoyed every page in my journey to the end. This is a novel that will remain fresh in my mind for years to come.